This year the focus is GCSE students (15/16 year olds) and their parents. There may be one or two who are at the start of A-levels but primarily we’ll be addressing students who are at the very beginning of their journey and may be the first people in their families to be considering education post-16. For those of you with no experience of UK state education, it was only two years ago that young people were required to remain in formal education or vocational training beyond GCSE (age 16). We will need a host for each panel and the plenary session. The role is to keep things running to time and also to stimulate discussion if the students aren’t immediately responsive. Please email me with your availability. We’re particularly keen to recruit younger alums and people with experience of coaching, drama, writing and facilitation for the workshops. The focus will be on presentation skills, work experience letters and personal statements. We’ll need people on the day to help register people as they arrive, serve refreshments and help run the networking sessions. If you’d prefer just to come by for an hour or so, that’s great. Please do let Margaret know closer to the time when you anticipate arriving! 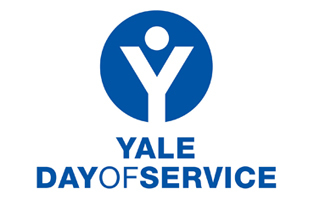 PLEASE also REGISTER on the AYA site - www.yaledayofservice.org - and spread the word among the alums you know.